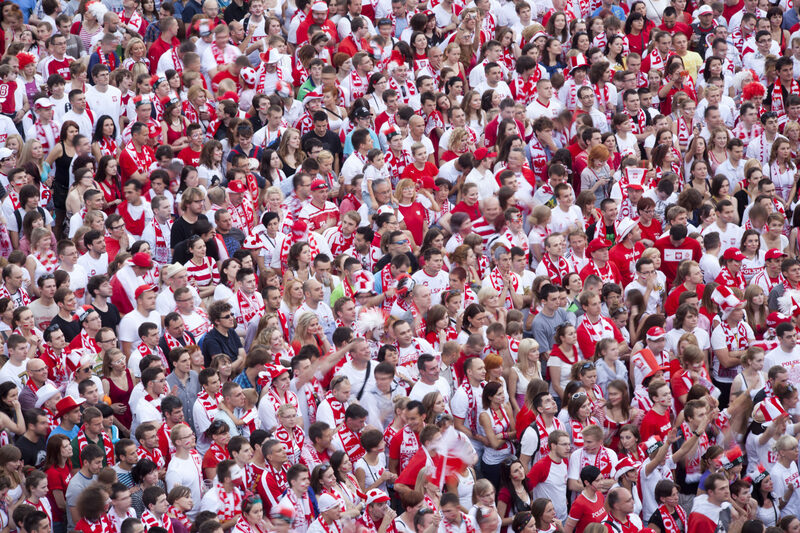 In the video White-Red, the artist used the extensive material recorded in Warsaw during the Euro 2012 football game. During the first half of the Poland vs. Russia game, Pustoła used a nearly “bird’s-eye view” perspective to film the behaviour of the people watching the match on a big outdoor screen in the fan zone outside the Palace of Culture and Science. The reactions of the dense, heavy crowd who follows the actions of the players on the pitch perfectly capture the course of this sports event and the emotions it evokes. This piece of work is quite long; it is nearly as long as a half of the football match. The sunlight falling on the crowds of fans wearing sports T-shirts is a special “character” in this film: the sunset gradually changes the dominating colours of the frames, it moves very slowly from white to red, thus giving the work a symbolic meaning. During Euro 2012, Pustoła registered a number of situations involving the fans, police, and Warsaw residents. 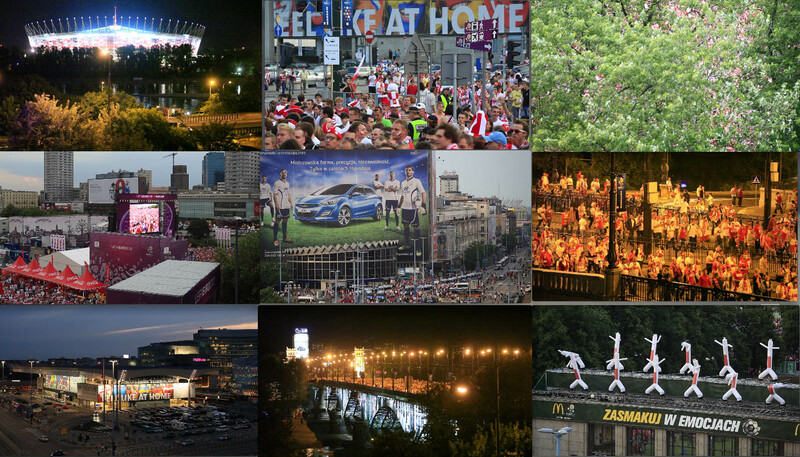 The work was presented in an expanded format, entitled Euro, in the form of a nine-channel video installation depicting shots of the various parts of Warsaw’s center, which at the time of the football festival, was turned into one big fan zone.